For a country that's partially below sea level, surrounded by the North Sea and with a history of seafaring daredevils, you'd think we'd eat fish every day. Or if not every day, at least more often than we do. 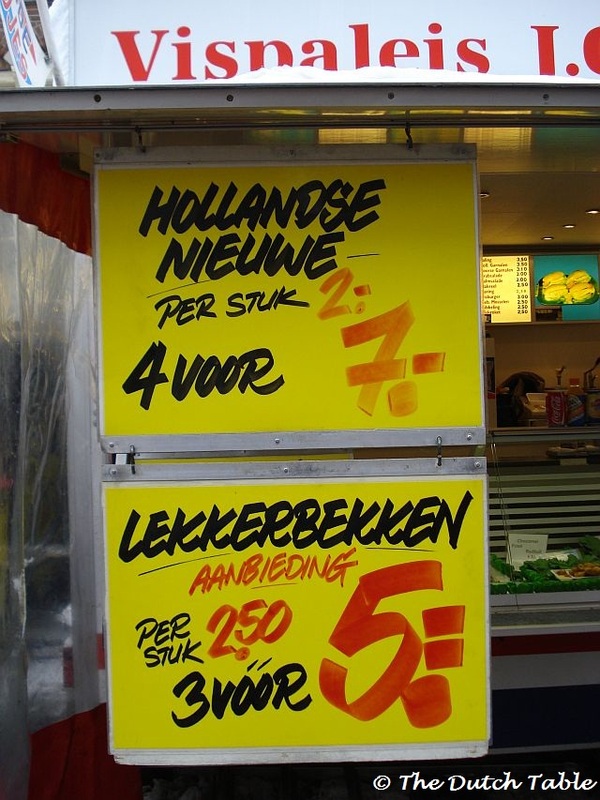 Granted, fried fish has its own stall on the market offering kibbeling, lekkerbekken and other tasty morsels, herring is traditionally a delicacy and even fish sticks make it on the menu every now and then. But fish for dinner, unless it's fried, is not very common. Seafood, in particular, is still considered a bit of a luxury and will not often make it to the table "just because". One of those special occassion dishes is the Dutch shrimp cocktail. Served with a homemade whiskey cocktail sauce, it's a treat for all! Perhaps it's because there are so many other exciting things to eat from the Dutch waters that is not just your plain ole fishy-fish-fish. Mussels, eel, herring, oysters, clams, trout, plaice, and some local varieties such as the North Sea sole and the North Sea shrimp, otherwise known as the Dutch brown shrimp, or in Dutch grijze garnaal, grey shrimp. This last one, Crangon crangon, is very tasty and a real treat if you can get your hands on some: the shrimp are smaller and browner in color than the pink ones, but the taste is also much more delicate and flavorful. Use them for shrimp cocktails, in warm seafood dishes or covered in whiskey cocktail sauce on a white roll. 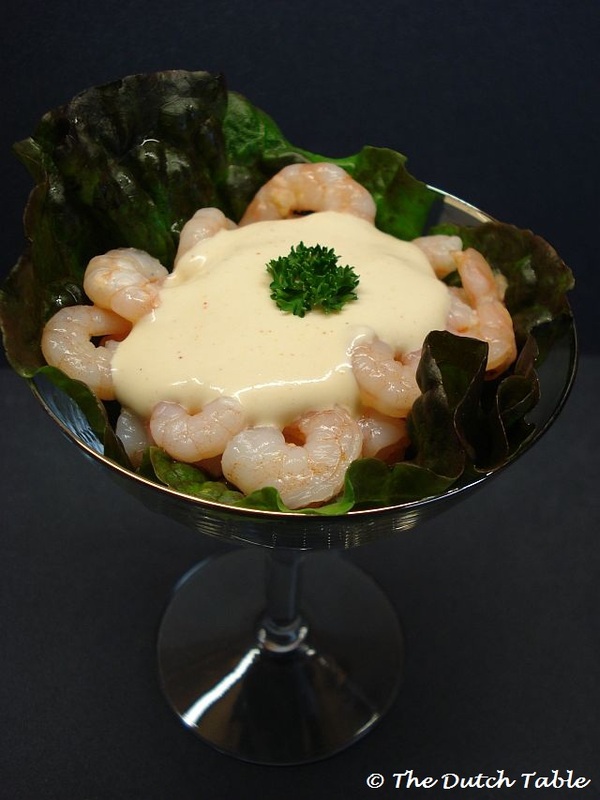 For festive occassion such as Christmas and New Years, often a shrimp cocktail will be part of the dinner course. Served in a glass, with some lettuce, parsley and a dollop of whiskey-cocktail sauce, it's a festive way to start a meal. The sauce really makes or breaks the dish, especially if you use regular pink cocktail shrimp for lack of better, as I did. Make sure you make a larger batch of sauce, as it goes very well with other foods: especially with red meats or french fries! Lightly whip the cream so that it takes volume, one or two minutes, but remains liquid. Carefully fold in the ketchup, mayonnaise, paprika, curry, lemon juice and white pepper. Add the whiskey, stir and taste. Adjust the seasonings if needed. If you like a little kick, add a pinch of cayenne pepper. Rinse the lettuce leaves, then divide them over four glasses. Add the well-drained shrimp (nothing worse than a swimming shrimp! ), add a good dollop of sauce on top of the shrimp and finish with some parsley. The ingredients look simple enough to acquire. I guess the preparation will be the real challenge, especially for those who aren't kitchen savvy. I'm actually quite curious as to how the alcohol shapes the flavor. I think the preparation is alright, it's the presentation which will be real challenging. Thanks for sharing this recipe, I'll give this a try! I love cocktail shrimp regardless of the preparation, especially when paired up with a vintage spirit. This looks like something that could heighten the experience. Thanks for sharing this recipe! This doesn't really taste at all like the bottled whiskey sauce I'm used to, but it is pretty good. I made it to surprise my Dutch fiancee', but she hated it, so I guess I get it all to myself. This was the sauce you had for the lobster? It was fantastic.